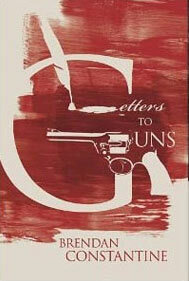 Brendan Constantine’s first book, Letters To Guns was released to rave reviews in February of 2009 from Red Hen Press. Known for his dreamy abstraction and the emotional ferocity of his work both on the page and on the stage, Constantine has helped to shape the poetry scenes of Southern California. 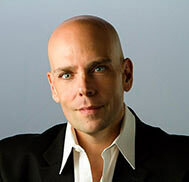 He is an ardent supporter of Southern California’s poetry communities and one of its most recognized poets. Mr. Constantine has served these communities as a teacher of poetry in local schools and colleges for the last sixteen years. In addition to this, he offers classes in hospitals, elder care centers and shelters for the homeless. Letters To Guns follows the publication of six chapbooks by local small presses in both Los Angeles County and Orange County, several of which are still available from the author. He is currently poet in residence at The Windward School. “In the hands of Brendan Constantine poetry is a weapon. That much is obvious. But one never knows, his poems will explode with bullets or flowers because Constantine is both guerilla fighter and beguiling jester. Melancholy, hysterical, literary, musical– the insights, like the forms (epistles, odes, annotated poems), of Letters to Guns are unpredictable, innovative and above all gripping. I am as helpless as anyone looking down the barrel of a gun. These poems are dangerous fun!